While countries across Europe are rolling up their tattered and abused Welcome mats and "turning their backs on refugees" as Washington Post puts it, with Sweden "deploying extraordinary new border controls and slashing benefits," and Germany discussing new measures to reduce their refugee numbers, inlcuding "expedited deportations for those deemed unworthy of asylum," we see a number of other headlines that indicate these actions and others being debated..... may be too little, too late. The Daily Mail is reporting that police in Germany have been ordered to cover up the extent of crime committed by "migrants," also known as refugees, with the reason cited as to not to fuel "right wing extremist debate," where critics believe that accepting over 1.1 million refugees in 2015 alone makes it impossible to properly vet the refugees and which allows ISIS and members of other terror groups to infilitrate the refugees to set up sleeper cells and plan attacks within the countries accepting "refugees." That is not just the opinion of those "right wing extremists" as the Washington Post article linked above admits "Investigators now say that at least three of the attackers in the deadly Nov. 13 assault on Paris traveled from Syria via Greece, exploiting some of the same routes into Europe being traveled by desperate asylum seekers." According to Dr Theodore Karasik, a Gulf-based analyst of regional geo-political affairs who has extensively studied ISIS's behavior, considered one of the world's leading authorities on ISIS, the death cult is planning to activate "hundreds of sleeper cells in dozens of countries," to slaughter thousands in a bid to spark "the final battle" with the west. 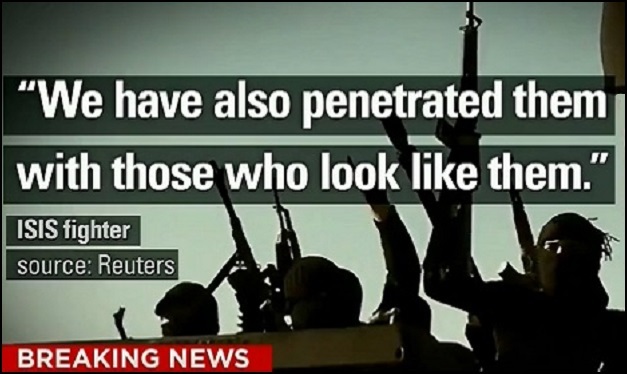 He warned: "ISIS’s media operation is taunting its enemy to come to fight their Final Battle. "But first, it wants to show its global reach with zeal...from cells, to lone wolves, to bedroom jihadists – to target landmarks and crowds in dozens of countries across the world." Dr Karasik added: "There are close to 40 ISIS affiliates globally with millions of adherents and believers around the world. The New Year may ring in with disturbing terror attacks. Official numbers on how many "refugees," have been imported in the U.S., reported by WSJ, include 80,000 annually between 2008 and 2011, 76,000 in 2012, with 70,000 annually since 2013 and this fiscal year, the U.S. plans to accept 85,000, including 10,000 Syrians. Those are just the official numbers because even Congress is being stonewalled on how many have actually been allowed into the United States as we covered back on December 12, 2015, with a clip of a Congressional hearing where the "expert" the Obama administration sent to testify, "didn't bring those numbers" with her, despite the hearing's main focus being "terrorism and the Visa Waiver Program." Then we have Pakistanis with terrorist connections caught crossing the U.S. border, showing it is not only imported "refugees" along with ISIS members and other terrorists, but those not caught crossing the U.S. borders, setting up America to be one of the countries where sleeper cells are being created and waiting to be activated. In the meantime, every supposed crime against Muslims in the U.S. is being treated as a "hate crime," with liberal politicians, Barack Obama and the liberal media consistently pushing the theme that "moderate" Muslims are feeling backlash for the actions of ISIS, when in some cases it is "fake hate" as evidenced by the torching of a Houston Mosque on Christmas Day instantly considered a hate crime......until we find out that the man arrested was a "devout" attendee of that Mosque who reportedly prayed there five times a day, seven days a week. Until that arrest liberals had reported gleefully that "Bigots in Texas decided to celebrate their Christmas by giving hate and terror to others by torching yet another mosque." That is a direct quote from Occupy Democrats, with no correction added since the truth came out. Another incident on Christmas at the Islamic Cultural Center in Northeast Fresno was also being treated, reported and investigated as a "hate crime," with words like Islamophobic being thrown around, but again it was fake hate as the man arrested was "Asif Mohammad Khan, who had posted on social media that Osama bin Laden was the “most inspirational person in his life," according to FrontPage. Vigilance is key here. 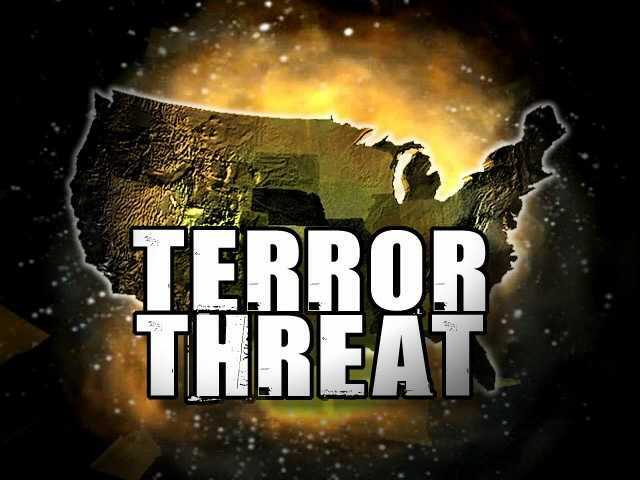 People need to be alert, aware of their surroundings, as not only the expert above is warning of the secret plot to slaughter thousands and activate sleeper cells, but even a former ISIS member has warned of a planned "terror blitz." We have seen strange purchases of pre-paid cell phones, missing propane tanks,stolen plumbing supplies, and other strange bulk purchases, all of which could be indicative of preparation for the "final battle." Those waiting for the American Hell Stream Media to warn them and to prepare them for another attack on U.S. soil, will be waiting a long time as their sole goal seems to be to garner sympathy for "fake hate" crimes and to protect the Obama administration from the ramifications and backlash of their policies, not to inform the public of the truth.